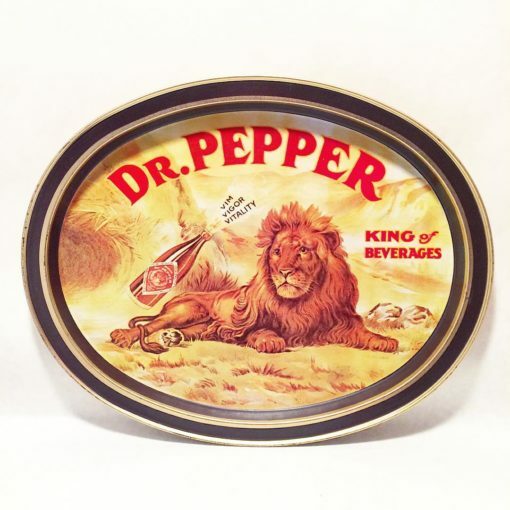 Nice piece of vintage advertising in this oval metal tray for Dr. Pepper, “King of Beverages,” by Fabcraft Inc. “Vim! Vigor! Vitality!” It measures 14.5″ long, 11.625″ wide, and is very good vintage condition.